Hanoi (VNA) – The Vietnam Online Marketing Forum 2017 came to Hanoi on August 17, aiming to boost online marketing and e-commerce in Vietnam and introduce the latest digital marketing trends to local businesses. A similar event was held in HCM City on August 15. According to Nguyen Thanh Hung, President of the Vietnam E-commerce Association (VECOM) – the event’s organiser, Vietnam’s e-commerce market has seen robust growth since 2016 but the industry still has many problems, including a lack of consumer trust in online shopping and weaknesses in online payment, shipping and marketing services. The forum, focusing on marketing trends, discussed affiliate marketing trends and search engine marketing, programmatic marketing, multichannel marketing, mobile marketing, social marketing and content marketing. During the event, speakers discussed opportunities for partnerships in online marketing and advised enterprises on adopting the right marketing strategy and improving marketing effectiveness, Hung said. 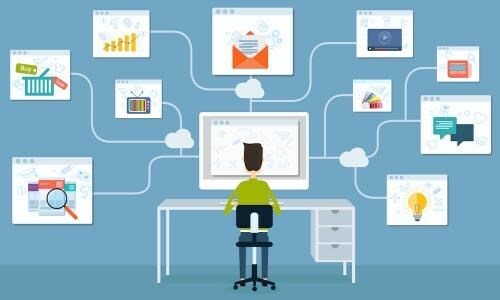 The Vietnam e-Business Index 2017 reported by VECOM indicated that social networks surpassed search engines to become the most popular online advertising medium in 2016 used by 47 percent of businesses while the number using search engines and emails are 41 percent and 36 percent respectively. Social networks were not only the most used channels but also considered more effective than search engines. Forty-six percent of businesses said social network advertising was highly effective while 44 percent are confident with search engines. Despite social network advertising, having only one marketing channel may not guarantee business success. The most effective way to do business online is to have a website together with a social media presence to spread the company’s message and nurture relationships with customers, said Founder of Orion Media Tran Chi Hieu. The website can be the centre of the firm’s brand communication while social media can be used to engage and direct customers to the website. According to a recent survey, 59 percent of businesses that own a website said their business grew once they built their website. Another survey on online consumers also showed that 67 percent of consumers shopped online after checking reviews and comments from social media. Some 47 percent rely on recommendations from friends and family members before making purchases while 33 percent were influenced by advertisements on newspapers and television.